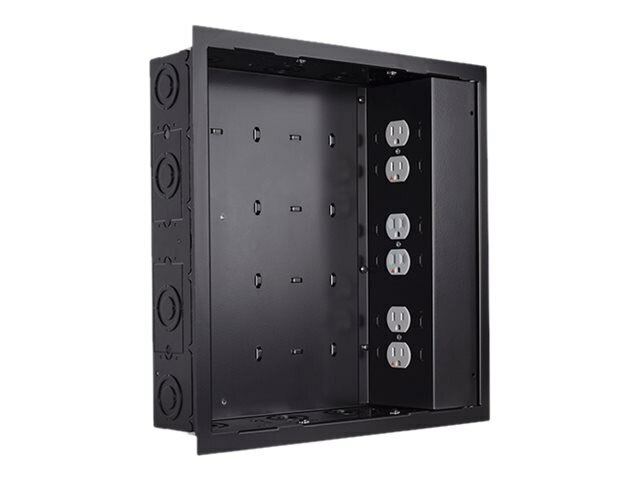 The PAC526FBP6 simplifies flat panel installation by providing an organized, recessed space for routing excess cables. The addition of the flange adds an aesthetic trimmed appearance and drywall mounting capability. Includes a high-performance, dual gang housing, isolated ground, 6-receptacle outlet featuring the SurgeX non-sacrificial multi-stage filtration and surge protection system. This protects equipment from disruptive high frequency noise and damage caused by power disturbances.